Week 1: Hello, who are you? I’m tasteach or Miss W when on the internet but in real life I am Sue Wyatt. I am a retired teacher who loves blogging, travelling and genealogy. When I am online I am a fairly talkative person as you will notice with my posts and comments, while in real life I am quiet unless with friends. Activity 1. Are you a different person online than in real life? How do you change or not? Write a post about being online then compare yourself to your off line real person. When online, you are usually represented by an avatar – these are used in gaming as well as on blogs. An avatar is supposed to represent the real you. Check out mine – I am a white haired lady with reading glasses. I usually have a cup of coffee in my hand and I always wear thongs on my feet – yes that’s where we wear them in Australia. Activity 2. Create an avatar to use on your blog when leaving comments. Here is a post including some avatar sites . 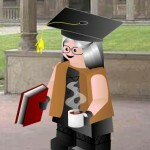 To add your avatar to your blog, if using Edublogs, check here. If using blogspot, check here. Teacher might need to change some settings in Kidblog to allow students to add own avatars. Did you find a great avatar site not mentioned here? Write a post about your avatar and how it represents you. Include a link to the website where you created the avatar. Write an A-Z paragraph eg I am an athletic, yet brainy child who decided that saving the environment is one of my future goals. If using Edublogs, below are instructions for creating your page. If using blogspot, check here. If using weebly, check here. If using Kidblog, you will need to write a post. Change the title to About Me or something similar. If you only have one row of icons above the box, click on the last icon called the kitchen sink or toggle. This opens a second row which allows you to change font colours. In the box, write a bit about yourself remembering to be internet safe. Make sure you have checked out the pages from other students mentioned – many of them have been blogging for a while. When you have finished click the big button on the right side of your screen – probably says update or send for review. Once you have saved your about me page, go back and delete the sample page. If your theme doesn’t show pages in the header area, then you will need to go to dashboard> appearance> widgets and drag across the Pages one to your sidebar. Finished the work for week 1? Then head off to the class or student list above the blog header and start visiting other blogs. You might not want to comment this week but maybe check them out. Are there any students with interests the same as you? Do you have a mentor yet? Have they left you any comments? Check that your name appears only once on the list of participating students. Leave a comment on that page if I need to remove your name from the list – give me your name, URL and age so I can find you easily. If all the students in your class have blogs and your teacher has a section called ‘My class’, you should have a widget called ‘Class blogs’. Make sure this is on your sidebar. Add the challenge badge to your sidebar – here is link explaining how to do that. Can visitors leave comments on your blog posts? If your country is in bright pink, then you might need to change your privacy settings or give me your correct URL. Check this post for how to do this using Edublogs, Blogger and Kidblog. How do I know you have done your activity? You come back here to this post and leave me a comment. Make sure you include the URL of your post so I can visit and leave comments. Tell me what you enjoyed most about the activity. Also great posts get added to our Flipboard magazine on the sidebar of the challenge blog. Week 8: Where in the world? My name is Fiona. I think It was a great topic for week #7. I have completed first week challenge. I hope you like it. My name is Aislinn, I am sorry that I did inform you sooner about my “About Me” page,and here is the link to my blog below. Wow!!!!! great links you guys have there well done. I would love to visit and leave some comments but you didn’t include the URL of your blog for me to click on. I can’t see your class blog on the class list either so couldn’t get to it from there. How do I get my class on the list? To get your class on the list, head to the top of the header on the student blogging challenge blog and click on Register for October 2015. There will be a link in there where you can register your class blog. Once registered, I then sort it according to age and it will appear on the list next door – Classes October 2015. Hope you and your students enjoy the activities. Hi Ms. W! I’m really enjoying the blogging challenges. Can you look at one of my blogs? Thank you! I have done my About Me post, here is the link. I have done my 2nd About Me post. Here is the link to my blog. I have finished my week one student blogging challenge. Hi Miss W and others! Hope all of you like my blog! My name is Rhea, I have done two about me posts so if you would like to check them out and find out a bit more about me feel free anytime at: http://rheaw06.edublogs.org. Hope you like my blog! I finished my post for Activity 1! About time, right. Anyways, here’s the link to my post. Good luck with your blogs. Even though this school only uses this website. Hi Miss W, my class have now completed their own avatars and most have finished their ‘About Me’ page. We are a bit behind the challenges but the students look forward to their daily blogging time and are not happy when school events get in the way. Here is a link to our class blog, all the students have their own page which is linked in the sidebar. My class has finished their first week’s posts. We did not have class for two Fridays which put us a little behind the schedule. I enjoyed reading their posts and have learned some new things about my students. I hope you enjoy reading their posts as well. Thank you. Thank you so much for commenting on my second class’s blog posts! They will be so excited to read your comments when they come to library on Friday. I would’ve never thought taking images from Google Images was copyright! Without this blog, I more than likely would’ve continued doing so. I hope you enjoy my second blog-post, and have a nice day! My name is Jessie. I just finished my Avatar post and I really enjoyed doing it, even though I made some mistakes. So I thought you might too, so if you have time there’s a link to my post down below. G’day Mrs.W. Thanks for starting the blogging challenge. I now know how to use google images correctly. I want to know how can I have a better blog, and just to make my blog better to win the challenge. The idea of the challenge is to improve your blogging skills and to make connections with other classes and students around the world. Everybody is a winner if that is what they have done by the end of the challenge activities. good day, Miss.W I am excited to be apart of the blogging challenge. I would like to thank you for taking your time for all the students. G’day Miss W. I am excited for the Student Blogging Challenge. I think that it will be a really cool experience to read what other people have to say on opinions and maybe even get to express my own. My teacher in my CCR Prep class has told us about you and know our whole class is doing your challenges. Please check out me blog, though. Thank you! G’Day Ms W! I’m excited for your Student Blogging Challenge. Thank you for taking the time to help us learn how to make a blog. G’day Miss W! I really appreciate the time out of your life to run this Student Blogging Challenge. Without you we wouldn’t be able to enjoy the wonderful world of blogging! I appreciate you taking time out of your life to teach us how to blog. Without you we wouldn’t have this skill! Thank you so much! G’day Miss W! I’m looking forward to your Student Blogging Challenge. I liked making a post about me and creating a Google Drawing. I appreciate you taking the time to help teach us how to blog. Our class is a little bit behind the challenge as we only got our internet fixed in our classroom so we are catching up. Here is a class post about the work we did on our individual learning blogs for week 1 of the challenge. The class loved making their avatars and creating their about me posts. We can’t wait to get commenting on other people’s posts. Loved the use of SLidely to show off the avatars. I had never heard of that tool before. Your post has been flipped to the challenge magazine. Writing a post each week as a class and giving links to students’ posts is a great idea. Hi Miss W! I have recently written a blog page All About Me! I am really proud of it mostly because I found it really hard to write to pridefully about myself. I would really appreciate it if you could possibly take a look at it! here’s the link below! 1. I like being part of the student blogging challenge because people can give me feedback and pointers to show me how I can improve my blogging and commenting. 2. People can reply our comments and keep on moving the conversation forward and that gets a real conversation going and that way you can interact with the person, maybe you can ask that person a question about the blog post and they will reply back. 3. The other thing is because you can say what you know about the topic that you are talking about and someone can ask you something about that topic that you are talking and you can reply with the answer it’s ok if you don’t know but you can search it up. I’m sure that other people have different reasons why they like commenting. Hope you like reading my classmates comments and blog posts. I finished the first challenge and I had a lot of fun doing it. http://mrsvazquezsclass.edublogs.org/ thank you.sincerely Old Ashley. I would like you to check out my avatar it explains me very well I think. When you get the chance please check it out. I loved doing the avatar post and was wondering if you could check my post out. Thank you for making the blog better. Thank you for making a great Student Blogging Challenge! Our class has finished the first challenge. Here is the link to our “About Us” page. You can also click on the individual student’s blogs from the home page. Hi, Miss W. Greetings. I just finished the first challenge and i enjoyed a lot. Here is the link to my post http://camilleleman.edublogs.org/2015/10/18/student-blogging-challengeweek-1-task/ . Thanks for making us this challenge. I am responding to this blog to learn what blogging is always about. It’s good to see a retired teacher on here, we can always learn from someone who has been through the trim. This is a very interesting subject. I have had a lot of fun creating my avatar on a great website called “Chibi Maker”. I have just finished my “About Me” post. I am really enjoying this blog challenge! Should I be posting each student’s blog separately? Kidblog is a bit more restrictive, but I think I found a way to get the url for each student’s post. The post needs to be moderated and made public by the teacher before the I can get the url for the student post which prevents me from giving each student their own blog url. Thank you. I will be spending quite a bit of tomorrow visiting the kidblog posts from three different classes including yours. We took part in a collaborative blog for Connected Educators Month, we thought it would make a good first post. Hi Miss W, we are Room 12 from Otonga Road School and this is our first post. I finished Week 1! I can’t wait for new challenges, Here’s my link hope you like it. Hi! Thanks for organizing this. We will be publishing our first post soon, but I wanted to make sure that we have satisfied the “About Me” requirement by using a sidebar widget. Ours is for the entire seventh grade, and we are using it in technology class. I am commenting to let you know that I did everything! I actually did it a long while ago, I have just neglected to comment until now. Sorry about that! Thanks so much, I’m really excited to be a part of this challenge! I definitely hope that you love my posts. I love doing the student blogging challenge and am enjoying it a lot. Thanks.Bye😃. I hope you liked my post. I am really enjoying the student blogging challenge, and many other people are to. It is a great idea, and I’m glad I am doing it. This is a great opportunity to learn something new, and to try out new things. The other class won’t meet until next week but should post before the end of October. Thank you! I definitely hope that you love my posts. I enjoy the student blogging challenge so so much. Bye😃. why did you spend your hole time writing this when if you write it before you could just copy then paste it. I do copy and paste some of the activities but I can’t copy everything because some students have been doing these challenges for two or three times. I don’t want exactly the same activities each time. I really like this challenge and can’t wait for me to get my blog better. the super hero site didn’t work but other then that everything was fine. I liked This week activities and hope next weeks will be the same. I have completed last week’s blogging challenge by change by uploading my avatar and writing an about me page. Here is a link: http://abbydz13.edublogs.org/about-me/ I have really enjoyed lots of things about blogging and am even more excited to do more and I am hoping I will have a very successful blog. Hello, My name is Michael and I live in Kentucky and am a student a Stuart pepper Middle school. I hope everyone enjoys my blog and has a good time. thank you so much and I hope to hear back! I love australia I would like to go!! How is life being a retired teacher? Life is great as a retired teacher. Gives me lots of time to do blogging and reply to comments. I had a great time making this blog because this is my first time doing something like this. People don’t get to express themselves very often on the internet and I think this is a great opportunity to do that. I have completed this week’s challenge for you. I hope you enjoy my blog post and I hope you take an interest in my photo collage. My name is Kaylee. So, we had some activities to do, and the ones which I had really savored creating my avatar, and the blog post, ‘All About Me!’ Here’s the link to my blog, please enjoy! I have completed the three activities for this week. My favorite activity from this week was creating my avatar. I really had fun with the challenge this week. Also, I had fun looking at other peoples blogs and see what they like. Hope you like what I made! I really enjoyed making an avatar. It was a lot of fun playing around with all of the different websites. Here is the link to my website I hope that you enjoy my first post. I have finished week 1 challenge. It was a lot of fun creating my avatar. IN AW OF THE OPPORTUNITY YOU HAVE GIVEN US!!!!! Hello Miss W. I’m abigail and I have finished my very first blog post! If you would like to have a look at it here is the website! I know you are very busy looking at other people’s work, but I hope you will take the time to take a glimpse at mine. I think making blogs is really fun I hope I win. I’m finished with my entry. Thank you for creating this challenge I don’t usually get to do stuff like this, so this it extra exciting! Oh, here is the link to my blog by the way http://20sipemr.edublogs.org/ have a super awesome day! I have thoroughly enjoyed this first week of the blog challenge and enjoyed your inspiration you gave to us. this is my blog I hope you will like it miss W.
This week I learned how to make an avatar and upload it to my blog! I am so excited to get to be in this blogging challenge and get to see what kids around the world about my age are interested in! Thank you for this awesome opportunity! I have learned a lot about blogging like you need an avatar to have a decent blog. Miss W, thank you for hosting this blogging challenge! I feel like it really gives me a chance to connect with students and teachers all around the world, which honestly makes me thrilled. My blog will mostly feature music, cooking, and pop-culture, so I’m sure there’s something that you’ll enjoy reading about. There may be short stories surrounding humorous or unexpected events that have happened to me, but I haven’t planned everything out yet. Just note that I will be posting often, so visit my blog if you get the chance. I know that there are hundreds upon thousands of kids asking the same thing of you, but if you can, it would make me very happy if I received some feedback from you. Thank you once again, Miss W. See you soon! Hi Miss W, here is the link to my blog. Thanks for visiting it. Hello Mrs. W! I had fun making my avatar and trying to make it look like me. thanks for the challenge and you should come and check out my blog! http://20olivee.edublogs.org/ Here is the link to my blog. I just finished my week 1 blog post, I hope you enjoy reading it, thanks! I have completed the first week of blogging and I’m excited for you to read my blog. Hope you enjoy it! http://20dobbjl.edublogs.org/ Here is my first blog. I just finished my week 1 blog post, I hope you enjoy reading it! Thanks for your time. I liked this activity cause i get to tell people more about myself and hopefully my name gets out to people and hopefully college coaches so I can pursue my dream. I have recently uploaded the first weeks challenge on my blog. I hope you enjoy it! My name is Zak Keen and I just completed my “All About Me” challenge. Come on over and visit my Blog! Here is a link for my first post. I have completed my blog post for this week! My name is Elspeth. I have finished the three activities for week 1. The thing I most enjoyed about it was finding out how I am different in real life to my blog. I’m very sorry that I’m a little late, but I finished the blog challenge. I had a lot of fun making an avatar that looks a lot like me. Here’s my post. Again very sorry for being late. It doesn’t matter if you are a bit late. I know some people have been on Fall break, others in Australia have been on holidays. As long as you are enjoying the activities. I did the activities for this week! 🙂 I didn’t do the A-Z post because I couldn’t find the right words. So I typed information instead. Here is the link to our first challenge. We just wanted to let you know that we have completed the “About Me” assignment for Week 1. Our blog, McDowell Media, is an online newsblog that we have started this year for students and parents of McDowell Middle School. Since there are 17 students in this class who are collaborating for this, we created a “Meet the Authors” page. There you will find each student’s “About Me” assignment. I loved reading about your authors and left a comment for each of them. You should also be able to add the widget called authors to your sidebar. That way parents can click on the student name and up will come all the posts written by that student. Thank you for the suggestion of the widget. I thought there might be an easier way to add the authors! I apologise for writing my post late, I have been busy this week. Here is the link to my blog so you can look at my work and my new avatar! So far I have really enjoyed making my own blog and customizing it. I am really hoping to get lots of comments! I liked this activity to express feelings. I have finished all the activities for Week 1. Here is the link to my blog with the posts: http://hmsangela.edublogs.org/ This was a great activity and I actually can’t decide which activity was my favorite so far! I think that the best part of all of this is being able to interact with other people from all around the world and get to know each other. I’ve just finished the activities. You can read them over here: http://pensamientoskay.blogspot.mx/ . What did I enjoy the most? For starters, it’s always a pleasure for me to write in english. I’m very excited about this challenge and thrilled to be able of reading other students’ blogs. I got a voice message from a class for my avatar. I have finished this week’s challenge By uploading an Avatar and writing and about me page. Here is the link http://Taliaz13.edublogs.org. I Have enjoyed everything about blogging and I’m hoping to do more. I enjoy everything about blogging and I’m hoping that after I graduate I can still blog. I have enjoyed blogging because I am able to learn more about computers and, learn how to in prove my typing skills. I am also looking foreword to chose what my blog should be about. I have completed this weeks challenge. I have created my avatar and made a about me page. Here is the link http://benz13.edublogs.org/about-me/ . My favorite part about blogging is the freedom to right about whatever you want. I have completed week’s challenge by uploading my avatar and writing an about me page. Here is the link http://elijahz13.edublogs.org/all-about-me/ . I have enjoyed Making comments About blogging and am hoping I will Start posting soon. I have done this weeks challenge with enjoyment! 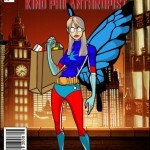 I have uploaded my avatar to my blog as well have done an about me page. I have even done my first post! If you would like, my blog is Autumn’s blog. I am hoping people will love my posts and share my interests. I hope you like what I post, and look forward to hearing from you! I have finished this week’s challenge by uploading my avatar and writing my About Me page. Here is the link http://kaleaz13.edublogs.org/all-about-me/. I have enjoyed commenting on other people’s blog’s and am hoping to start posting soon. I have completed this weeks challenge by uploading my avatar and writing an About Me page. Here is the link. http://morganz13.edublogs.org. I have enjoyed every thing about blogging and am hoping to blog lots. I finished the first 3 activities and I had fun doing them! My favorite part was definitely making the avatar and I had fun picking out the site and making myself in a fun way! Be sure to check out my blog page and leave some nice comments! I have just finished my post and here is the URL!!! I have just finished the blogging challenge for week #1, #2, #3. My name is Tess. I finished the activities for week 1. Here is the post! I loved the avatar making and hope to do more like it! I really enjoyed making the avatars! I am Yasmeen and a student at PDS in Shirley’s 6th grade I really enjoyed the blogging challenge. It was a nice way to express myself so thank you. Can you please check out my blog post and leave some comments? My name is Ryanne!!!! This was really fun!!! I cant wait for the other weeks!!! Can you please check out my post here? Hi Miss W- I just finished my blog post. I really enjoyed this writing prompt, and I hope you enjoy what I’ve written! Glad you are doing the blogging challenge again. I wonder if you would like to try mentoring with a small group of students during this set of challenges or the ones beginning in March 2016? I’m not really sure what you mean, seeing as this is my first time doing the Edublogs Student Challenge. Thought I had looked at some of your other posts and they looked like ones from a previous challenge. I just finished the first challenge and thoroughly enjoyed it. I am sorry the post is delayed. I loved the avatar task like Rachel. Here is the link to this weeks post. Hope you enjoy…. My favorite part of this challenge was creating a avitar. I used the same website as you did moeruavatar. You are actually on the list three times under the 14 year olds. I will take you off the extra two times. I finished this weeks challenge, I really enjoyed creating an avatar. Also the writing prompt made me really think about how nowadays we hide ourselves from reality. It could be good or bad but we all are different online than in person. When you leave a link to a post it will be more than just the link to your blog. Here is the link to your post http://isabelry.edublogs.org/2015/10/06/online-identity/ Can you see how it is different to the link to your blog? I just completed week 1. Check the comment I left for Isabel about a link to a post rather than the link to your blog. Here is week 1 activity 3 challenge… The link is bellow. I have completed my first task. Like Rachel, I enjoyed making the avatar the most for it was fun seeing what looked like me and what didn’t! I enjoyed making the avatar the most too! Do you have your own blog or are you blogging at school? Have a go at the activities on the Week 1 post. Is it too late to have my students sign up for your challenge? This is exciting and for myself as a first-timer, it’s eye opening. Your students can certainly sign up for the challenge, but as there are nearly 2000 students already registered, they probably wont get a mentor. Greetings. Attached is my newly created blog post. Look forward to our future interactions within time. Here’s a new avatar to add to the list. Get Peanutized!